Collection privée © Yue Minjun. Born in 1962 in Daqing, in Heilongjiang chinese province, Yue Minjun now lives and works in Beijing. In his early years, Yue worked in the oil industry until the 1989 Tiananmen Square uprising events encouraged him to join an artists’ colony outside of Beijing. 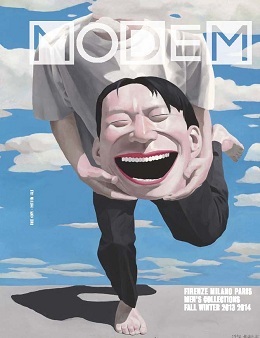 Influenced by both western and chinese art history, Yue Minjun’s laughing self-portraits often contain surrealist imagery or famous paintings’ references. At the first glance humorous and sympathetic, Yue Minjun’s paintings offer a peculiar approach to philosophical enquiry and contemplation of existence.. His own smiling face paintings, often duplicated on numerous figures, gained him critical acclaim and led to exhibit internationally his work. Yue bases his compositions on European masterpieces and iconic Chinese art. By subverting the grandiose aura through his pop aesthetics and xaggerated expressivity of cartooning and stylistic rendering of graphic illustration, Yue depicts cloned grotesque characters contorted by manically toothy cackles and with scalded pink skin and. Yue is frequently associated with the Chinese movement “Cynical Realism,” but he rejects this label. His Tiananmen Square- inspired Execution, which was highest grossing work of Chinese contemporary art in 2007, has been compared to Goya’s masterpiece The Third of May, 1808. The Fondation Cartier presents the first major European exhibition dedicated to Yue Minjun displayed until March 17, 2013. 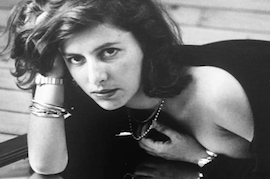 The exhibition presents a selection of works from the early 1990s. These examples of Yue Minjun’s earliest paintings are an important part of his oeuvre, because they show his beginning to search and gradually define his style. The individual features gradually begin to disappear and all the faces start to look like the artist’s own. Using huge canvases, Yue Minjun depicts himself in bizarre, improbable or, at times, highly poetic situations.